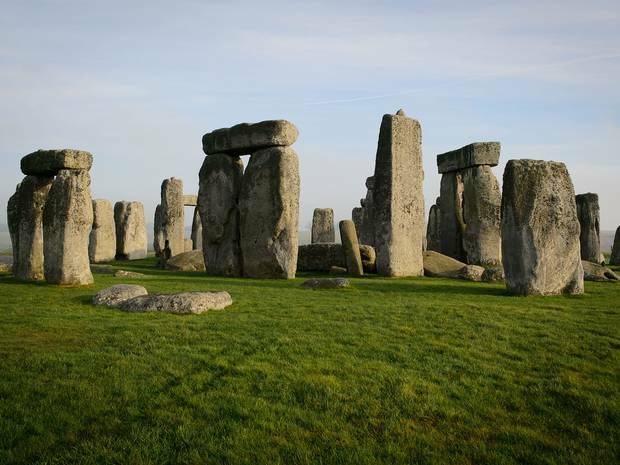 Foreign tourists trying to reach Stonehenge by public transport must put up with Stone Age speeds, a new report has found. Barriers to Overseas Visitors’ Use of Public Transport”, commissioned by VisitBritain from Social Research Associates, slams the UK’s transport operators for baffling overseas visitors and dissuading them from venturing beyond London. Britain’s “peculiar” transport system makes access from London to some leading tourist attractions exasperating. The journey to Wiltshire’s ancient stone circle begins with South West Trains from London Waterloo to Salisbury. Next, tourists must take a six-minute walk towards the city centre, followed by a half-hour bus ride to Shrewton. “Here, a wait of up to an hour can occur, until a Connect2Wiltshire bus continues on a 20-minute journey to Stonehenge,” say the researchers. Many visitors are barely off the plane before their public transport problems begin. The Heathrow Express from the UK’s main gateway into the capital is described as “the most expensive airport connection anywhere”. The report say the operator “steadfastly refuses to provide any onward journey information on the train”. The report also criticises UK train operators’ refusal to use any language other than English or Welsh on websites. In contrast, German Railways’ site offers nine languages, while French Railways provides English and German translations. Baffling public transport has not dulled overseas visitors’ appetite for the UK. The first six months of this year set a new record for incoming tourism. On average, 90,000 visitors a day arrived in Britain between January and June – up eight per cent on 2013. Be wise and book a guided sightseeing tour!